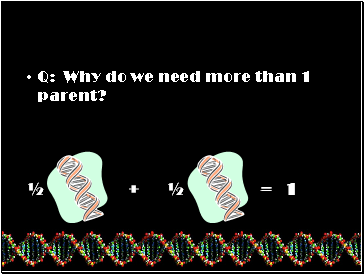 Q: How many of you have more than one parent? 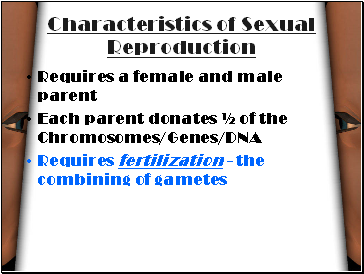 Q: Why do we need more than 1 parent? 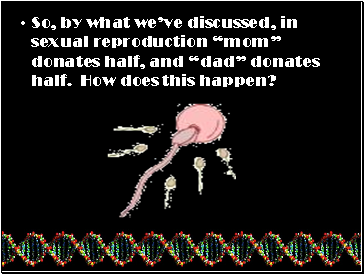 So, by what we’ve discussed, in sexual reproduction “mom” donates half, and “dad” donates half. How does this happen? Now, nine months later, you come out kicking and screaming (and dancing). To which parent do you look exactly alike? 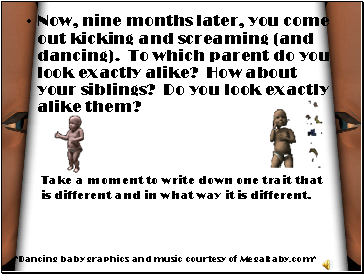 How about your siblings? Do you look exactly alike them? Take a moment to write down one trait that is different and in what way it is different.